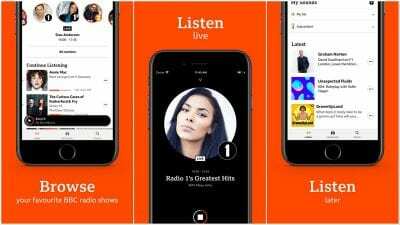 The BBC has launched BBC Sounds, bringing together 80,000 hours of unmissable radio, music and podcasts, available live and on-demand in a personalised single app and website. With more people listening on mobile, BBC Sounds makes it easier to discover and enjoy exclusive music mixes, award-winning BBC podcasts as well as popular podcasts made outside the BBC. Features include all BBC’s national and regional radio stations as well as BBC World Service, live and on demand; twenty new podcasts available on BBC Sounds including Beyond Today, a daily news podcast, as well as new podcasts from well-known favourites Rylan Clark-Neal, Konnie Huq, Colin Murray and the stars of EastEnders; Forty new and exclusive music mixes curated by the BBC’s music experts, artists and others - including top footballing stars; Popular and chart-topping podcasts made outside the BBC including The Guilty Feminist, Beef And Dairy Network, Griefcast and Swipe Left Swipe Left; and over 100 hours of classic BBC comedy and drama newly available and only on BBC Sounds. James Purnell, Director of Radio and Education, adds: “BBC Sounds will bring you all our audio at the touch of a button. We’ll do the hard work of finding the right mix, podcast or radio programme for you. It’s the start of an adventure - we’ll learn from our audiences to keep improving what Sounds offers, so we can bring the best to everyone." Every person’s experience of BBC Sounds will be unique - as it’s designed to learn from listening habits, providing one-tap access to the latest episodes of favourite BBC podcasts and radio shows and introduce people to new audio they wouldn’t otherwise have discovered. This week BBC Sounds will be loaded with all of listeners’ favourite shows and podcasts as well as brand new podcasts and music mixes, with more to come over the following weeks and months.